Grace Grayeason desperately needs medical help. She is in pain constantly. There is no money for food for Grace and her two children and no money for drugs. Grace is in need of surgery as soon as possible. PLEASE can someone help? During the civil wars in Liberia, the Rebels fought against the Government Soldiers. They threw tear gas and it landed on Ellen. Since then she has had serious problems with her right eye. Both Ellen and Alex are not in school. There are no funds for that. Many times Ellen needed medical treatment for her eye, but they had no funds. Today we are praying for Grace that she would find help. She has a serious case of fibromyalgia. Every minute of the day, she is in severe pain. Every day the bleeding increases. Grace was told that she has a growth the size of a baby, needing to be removed as soon as possible. Only this will stop her bleeding. Provision of Hope sent Linda Jarbah, one of our leaders, to go to her home to assess things, and she said, they had no food in the house. They went to a hospital last week. The doctor said she was too anemic to do surgery. First she needed medical treatment to build up her blood. We started her on that. MANY REFUGEES FACE THIS KIND OF HOPELESSNESS AND DESPAIR. This could be me, had I been born on that side of the world. I KNOW WE WILL FIND A WAY TO HELP GRACE AND HER CHILDREN. I JUST KNOW!! 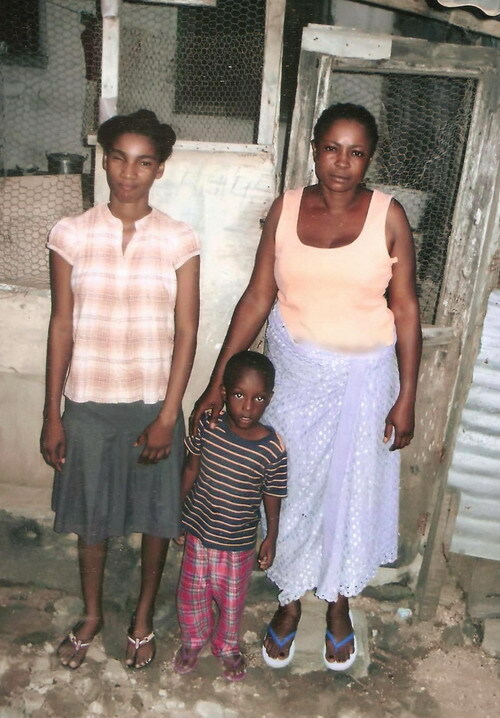 I want to see Grace get her surgery and see this family return home to Liberia. There they will have a better life. We expect this surgery will cost 500 dollars. WE LIFT OUR EYES UP TO THE MOUNTAINS, WHERE DOES OUR HELP COME FROM? OUR HELP COMES FROM THE LORD THE MAKER OF HEAVEN AND EARTH.